There’s a growing interest in creating interactive digital books for learning. The challenge is that there are several publication formats and many different vendor applications to use to build an interactive book. Knowing which format and/or tool to use, when to use it, and what’s involved in creating your content in the format provided by the vendor can seem overwhelming. In this hands-on session participants will learn the process for building eBooks using iBooks Author. You will explore the authoring environment and discuss the processes that are involved in building an eBook. You will discuss and apply the pluses and minuses of each file format using iBooks Author. You will leave this session with an understanding of the latest tools, gain an understanding of what each format offers, and discover how you can take advantage of it in your organization. A look at what HTML5 is and how people use it today to deliver the next generation of learning content and applications via browsers, native apps, and hybrid apps. You’ll learn what you need to consider in designing content along with technical guidelines. Get an introduction to five hot features in HTML5 that you can start using today, and prepare for developing with the new standards. You’ll discover the five challenges you need to know in order to make sure your first app or delivery is a success and you’ll learn whether to launch a native app or web app. You need a performance support solution, but getting approval to implement a larger, more costly solution takes time—if you have the budget at all. But maybe you don’t need the larger, more costly system. Maybe you can start your performance support journey using tools you already have available. In this session you will explore how using open-source-based products can help you launch and support your audience without breaking the bank. You will learn from demonstrations on how to use these tools to prototype and test a concept to develop the best workflow and meet your audience’s needs. You will receive a breakdown of open source and free technologies that can be used to build a solution with a minimal or zero budget. You will leave this session understanding what’s needed, and how to plan, demonstrate, and launch working versions of several key performance support tools that you can model and implement within your organization. Responsive and adaptive designs are extremely popular in the world of mobile learning, but they are also very commonly misunderstood concepts. 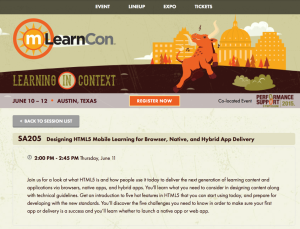 Today’s mobile learning professionals need to understand what responsive and adaptive designs really are in order to plan and implement them effectively with HTML5-based solutions. 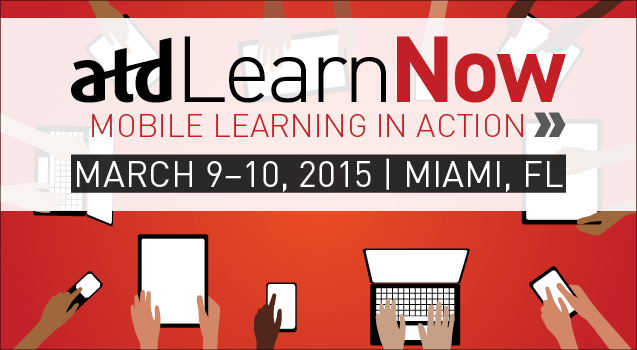 Join us for 1.5 day workshop on getting started with Mobile Learning with Clark Quinn and Sarah Gilbert in March. Here’s the presentation deck from the November PANMA event in Philadelphia. Whether you are creating a new project, developing a app or launching a new website, join us to learn about the latest strategies in brainstorming and prototyping. During this session we will highlight specific tools, techniques and workflows to help you kick-off any project the right way. Learn how to communicate a concept, beginning with low-fidelity prototypes, gather user feedback and translate into high-fidelity prototypes BEFORE you start development. So bring your pens, crayons, markers and paper to get your ideas out of your head and make them a reality! There’s a great deal of buzz in our industry about HTML5. Chances are that the development tool you’re using to create eLearning can output to HTML5, but most instructional designers are not sure why that feature is important. HTML5 is also a subject that, for many, is clouded in confusion, with learning professionals often unable to translate the technical discussion into understanding of what the technology makes possible. 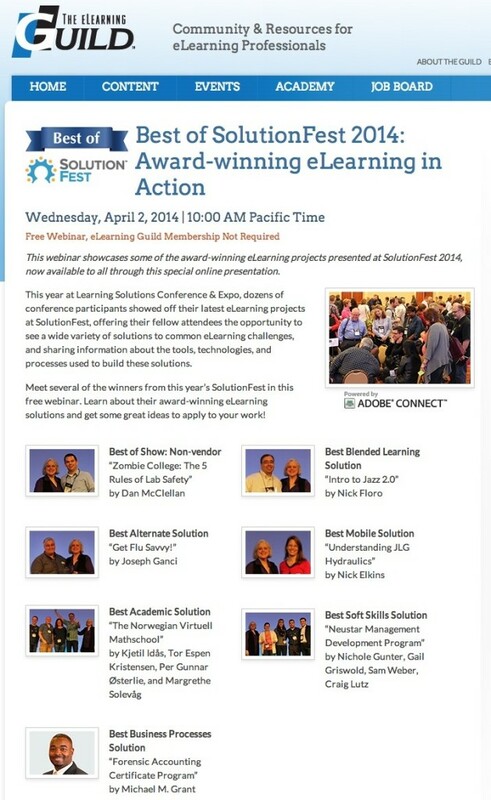 View & download a copy of presentation for 2/3/14 at Training 2014 in San Diego. This presentation will provide you with the foundation you need to get started in mobile design and development. You’ll learn best practices for designing for mobile and what challenges you may face in platforms, smartphones vs. tablets vs. next generation touch devices. Floro will discuss and provide techniques for designing mobile apps that work, from sketching to wireframing to prototyping and launching a course, web app or mobile app. You’ll learn what tools you can use to help visualize concepts and how to prototype quickly without breaking the bank.